Spring cleaning is great for your house, but does your cleaning supply closet or cupboard need a little attention too? Now is a great time to simplify and ‘clean out’ the cleaning closet. What should you toss and what should you keep? I’m sharing just a few of my favorite cleaning products and how to use them, plus a couple of recipes you may want to try for yourself, if you haven’t already. In my opinion, every home should have one good all-purpose cleaner. The intent of the all-purpose cleaner is to clean most surfaces and tackle many tasks. While they have their limitations, a good one will serve many functions in cleaning. They can clean floors when damp mopping, walls and counters, cupboard shelves and windows. The trick in their use may be in the strength and cleaning rag or scrubber, as well as the rinse. I have even been known to use them on a laundry stain or two. Commercial favorites: Greased Lightening, Simple Green, Seventh Generation Free and Clear, Lysol All Purpose Cleaner, Fantastik Orange Action and 409. Mix all ingredients and put in a spray bottle. It is possible to make your own scrubbing cleansers, and they work pretty well, but for a few cents extra, it is nice to have one handy and ready to go for those tough spots and stains on porcelain, some tile and even on pots and pans. Place the baking soda in a bowl. Slowly pour in liquid soap, stirring constantly, until frosting-like. Add oil. Dish detergent is a basic staple in any cleaning cupboard. It can be used to clean many surfaces and lift many stains. Commercial Favorites: Dawn Liquid Hand Dish Detergent, Palmolive and Ivory—especially the formulas for de-greasing. Vinegar is a great addition to a cleaning cupboard. Because of its acidity, it is also a pretty good disinfectant and mold inhibitor. Use it to dissolve mineral deposits, grease, remove traces of soap remove mildew or wax buildup, polish some metals and deodorize. Vinegar can clean brick or stone, and is an ingredient in some natural carpet cleaning recipes. Use it with baking soda to clean a toilet bowl, or mix it with salt to clean a tub. For a hundred other uses, go to www.vinegartips.com. It is amazing how many uses it has! Like vinegar, lemon juice has many options for your cleaning arsenal. In fact, many of the same uses for vinegar can be interchanged with lemon juice. No all, but many. Remember, nothing acidic can go on marble! Lemon juice can be used to dissolve soap scum and hard water deposits. Lemon juice is a great substance to clean and shine brass and copper. It can be mixed with vinegar and/or baking soda to make cleaning pastes. Cut a lemon in half and sprinkle baking soda on the cut section. Use the lemon to scrub dishes, surfaces and stains. Mix 1 cup olive oil with ½ cup lemon juice and you have a furniture polish for hardwood furniture. Borax is a naturally occurring mineral, soluble in water. It can deodorize, inhibit the growth of mildew and mold, boost the cleaning power of soap or detergent, remove stains and can be used with attractants such as sugar to kill cockroaches. One great use for Borax is to kill odor-producing mold and bacteria in garbage cans: sprinkle 1/2 cup Borax in the bottom of the garbage can. Note: Borax is toxic if ingested. This is an excellent disinfectant, and can be used on most home surfaces without damaging them. It is especially nice for cleaning keyboards. It cleans dry-erase boards very well and other unwanted ink-related marks. Don’t buy special cleaners to get out baby formula stains, use a little isopropyl alcohol on the stain, then a regular detergent worked in. Works like a charm. Use an isopropyl alcohol/water solution for cleaning mirrors or chrome: 1 part alcohol to 4 parts water. Many of our homes have “special” surfaces (travertine, marble, stainless steel, solid surface counters, brass and chrome) that we may need to be sure we know how to properly care for — but even many of these surfaces can be cared for with at least one or two of the above products. While there may be “special” cleaners to go with these “special” surfaces, checking to see if other options will do can save you some cash and some cupboard space. Teresa was raised in Arizona. She received a B.S. degree from BYU in family resource management and family finance, and a second major in nutrition and food science. 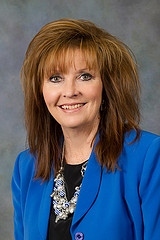 She has worked for USU Extension since 1980 and has served on many state, regional and local boards—including the County Fair Board for 18 years—and has served as president of her two state associations. She has written many bulletins and publications for USU Extension and appears regularly on KSL Studio 5. She is the supervisor of the Food Stamp Nutrition program for Weber County and teaches classes on finance, home management, food storage, food preservation and food safety throughout Weber County. She is married and has two grown children. She loves to cook, sew, scrapbook, work in the garden, read, camp, hike and be involved in her community. Amazing! I love natural cleaners, so thanks for the ideas! Greets! Great blog by Teresa Hunsaker of Utah. 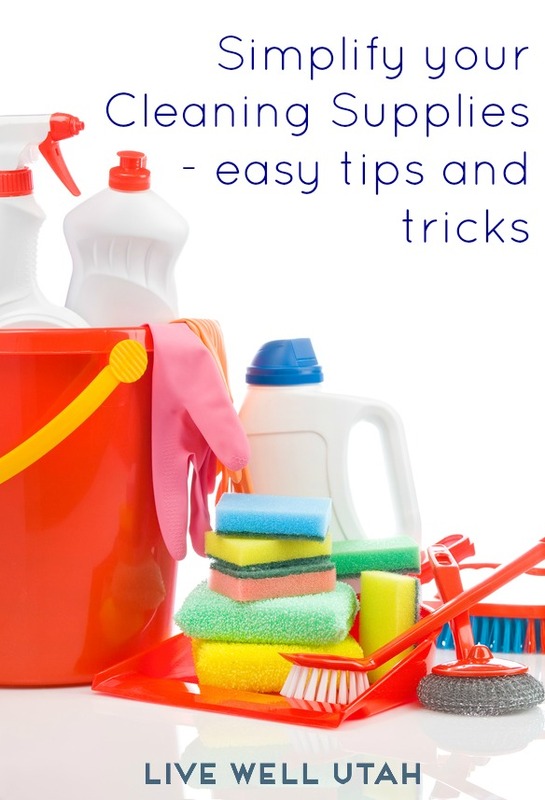 Learn how to simplify your cleaning supply collection. Hi, Teresa! I like your guide for cleaning! It’s really great when you find other people who are sharing your hobbies and lifestyle! I feel so excited reading your article!